Americans are loaded with credit card debt! According to the United States Consumer Report this year, household consumer debt has increased from 14.79% in February to 20.5% in March and consumer spending has reached its highest point in the last three years. Although some debt is good, there are other forms of debt that are not. Borrowing to invest in your future, whether for yourself or your family is a good reason to acquire debt, within a reasonable amount, that can be paid back at the best affordable rate. Using Credit cards and other borrowing mediums to pay for short lived pleasures you cannot afford are the quickest way to increasing your debt and reducing your credit score! According to the US Consumer Debt Composition graph shown below, total outstanding consumer debt is currently $3,316 billion. Creating a budget for your personal finances is the best alternative and it helps you to get a handle on your spending. You can cut back on the things you don’t need to decrease your debt and boost your residual income. Watch Where You Borrow – Avoid Payday Cash Advances, although they are a great way to get quick cash on the go, they are not a long-term solution; they tend to trap individuals with high borrowing rates and fees that prevent you from paying off what you owe and they increase your financial hardship. Aside from payday cash advances, using your 401(k) to pay off debt can be dangerous. You could lose your home or fall short of your investing goals at retirement. Pay Your Highest-Rate Debt First – You can pay down debts with the highest rates to keep you interest and fees low, while paying the minimum balances on other debts. Then continue the momentum by tackling the next obligation with the highest-rate. Pay More Than The Minimum Balance – In addition to paying on or before your due date, this is a great way to pay down your debts quickly and improve your credit rating. Cut Your Monthly Expenses – There are differences between wants and needs, if it is not a necessity, it is an expense that can be alleviated. You can cancel or downgrade your cable package. No one uses land lines anymore, a home phone can be disconnected. Get on a budget plan with your utility company. Make Your Money Work For You – There are many ways to save cash when you spend. You can bargain shop for the best sale, buy in bulk for the most expensive items, or use a company’s reward program. These programs offer cash back and other perks for your customer loyalty and spending. Advertise and Sale your Unwanted Items – Extra money is good any way you get it! You can advertise your high quality items on social media, in addition to garage sales, or local ads to get extra income for your household to put towards your debt or save for a rainy day. Avoid Frivolous Spending Altogether – If you don’t need it don’t buy it. Save your money, because things happen! Without good credit or savings stashed away, you won’t be able to meet your needs in an emergency situation. Quit Your Job and Boss-up ~ 7 Tips For Creating Your Own Business! 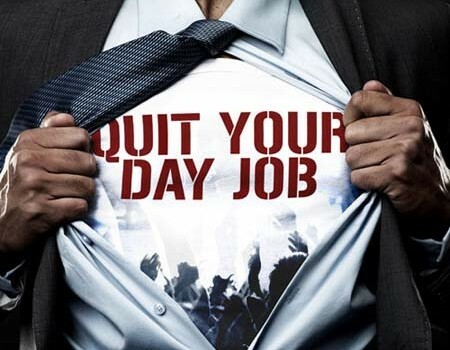 Quitting your job can be fulfilling, but it can also have a negative impact on your finances. Although you may want to run out of your place of employment, having an exit strategy in place is the best way to go! You should never leave a job, without a backup plan. Although everyone is not made to be a boss, let your business idea provide you with the most rewarding way to leave, by creating your own business! If you are experiencing any of these problems, it may be time for you to walk away. Your job should provide you with a daily positive and beneficial work environment. Lets face it, you spend more time at your job then you do around what matters the most in your life, and happiness is very important! Working for yourself can help you discover your life purpose. It also provide the benefits of creating family wealth, making your own rules, decisions, hours, and most importantly, controlling your own destiny! Once you have created your own business, how do you know when it’s the right time to walk away? 1. When you have created a solid business plan and your plan is organized and in motion. 2. You have met all of your legal or educational requirements before going into business. 3. You have accessed your financial needs and constraints both for your new business and personal needs. 4. 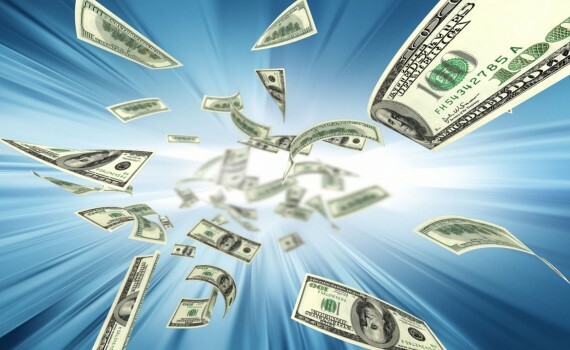 You have created a safety net or reserve of cash to sustain your lifestyle. 5. You have built your network with the understanding that you cannot make it in business alone. 6. When your business brings in more revenue than your current job. 7. Most importantly, you are ready to put in the time and work to make sure your business is successful.